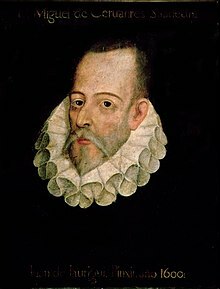 Miguel de Cervantes Saavedra o Cervantes (klosap 29 Septemba 1547 – 23 Epril 1616) em i bin wan man blong litorasa blong Spain. Emi bin raetem wan buk, nem blong buk ia "El ingenioso hidalgo Don Quixote de la Mancha" o Don Quixote. This page was last edited on 22 Februari 2017, at 12:12.